Utkal Vatika is one of the residential developments by Utkal Builders, Surnag Builders, Pradhan Builders and Narayan Agencies and Estates, located in Jharpada. It offers spacious and skillfully designed 2BHK, 3BHK, 3.5BHK and 4BHK apartments. The project is well equipped with all modern amenities and 24 x 7 security service to facilitate the needs of the residents. Where is Utkal Vatika located? The project is located in Jharapada, Bhubaneswar. What apartment sizes are available in Utkal Vatika? The project offers apartments sized between 938.0 sqft and 2434.0 sqft. 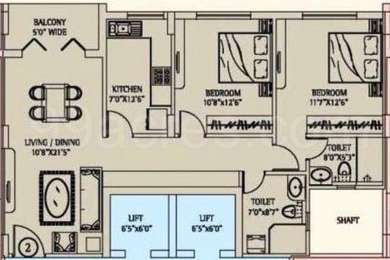 What is size of 2 bhk in Utkal Vatika? The area of 2 BHK apartments ranges from 938.0 sqft to 1460.0 sqft. 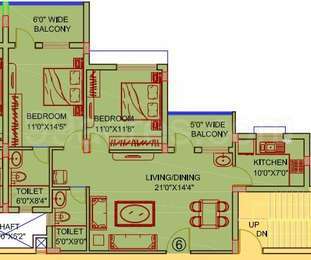 What is total area of 3 bhk in Utkal Vatika? 3 BHK units in the project are available in a size of 1616.0 sqft to 2088.0 sqft. How much is area of 4bhk in Utkal Vatika? 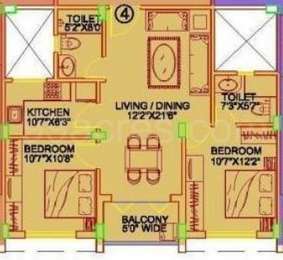 The area of 4BHK units in the project is 2434.0 sqft. What is the area of Utkal Vatika?The total area that the project occupies is 4.32 Acres.